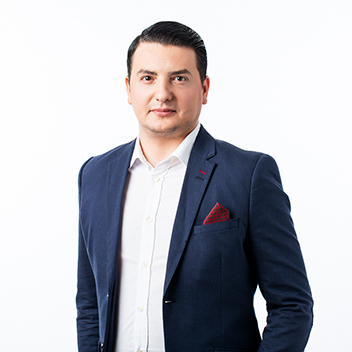 The native-born Romanian launched his first company shortly after finishing his business studies in Bucharest, and led the consulting company specialised on EU aid money as CEO for 3 years. Vlad relocated to Vienna at the beginning of 2010, not least because of the high living standards of the city. Vlad founded the Viennese chapter of the world-renowned TED talks and developed with TEDxVienna one of the largest and most active innovation communities in Austria. In 2012 Vlad joined the successful Austrian incubator i5invest as Associate. Here he co-founded the technology startup Adspired Technologies, that develops innovative marketing and e-commerce tools. Since 2013, Vlad is also a founding board member of Austrianstartups, an NGO focused on supporting and promoting startups in Austria.